Cream shortening and sugar until fluffy. Beat in eggs, pumpkin, and water. Sift together flour, baking powder, baking soda, salt, and spices. Add to pumpkin mixture. Stir in nuts. Pour into greased wide-mouth pint jars, filling them half full of batter. Bake at 325 degrees F for approximately 45 minutes or until a wooden skewer inserted in the middle comes out clean. Remove jars from the oven and cool. 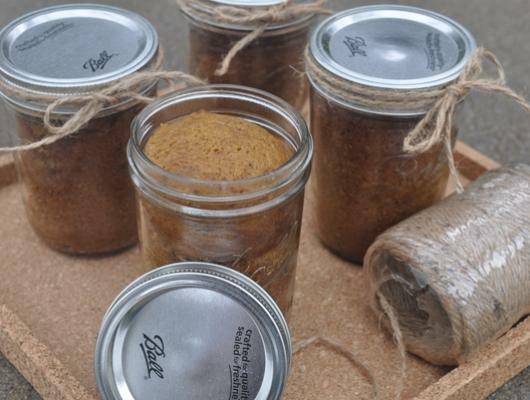 When cool, add canning lid and decorate with jute, ribbon, scraps of fabric or any way you wish for gift giving. 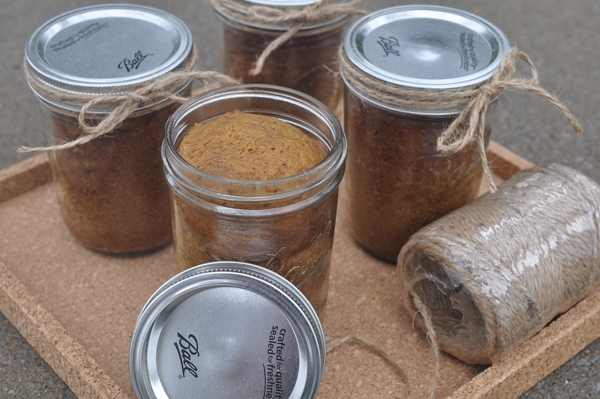 If you are freezing, leave the pumpkin bread in their jars, add lid, and place in the freezer.